Our summers are full of “bucket lists”, plans and schedules. We want our children to have a good time, but sometimes we forget what vacations are for – they are meant to give our children free time. What happens if we simply do nothing and let our children be – that was our “experiment” for the last couple of weeks. Are We Entertaining Our Kids Too Much? As a working parent, I struggle often with mother’s guilt. I feel that I should be doing more with my daughter, especially in summer when she has more time. My blogging addiction is partially to blame – several times a day I get this, We should be doing that! moment when I see a particularly clever project. My husband, however, pointed out an interesting trend to me – the more I “lead”, the more dependent and clingy our daughter becomes. We both come from happy and functional families, so we revisited our own childhoods to recollect how we were raised. Both of us remember times spent with our parents learning something new or playing family games or traveling together, but we don’t remember parents doing “projects” with us. I was an only child, and I was happily playing by myself or reading while my Mom cooked, cleaned, read and did other “adult things”. My husband spent a lot of time playing with friends outside or designing and building things on his own. We decided that it’s time to change things a little bit around here. Our experiment was really very simple. We decided not to offer our daughter any helpful suggestions on how she should spend her time or offer to do things with her. Her rules and responsibilities remained the same – she could use 30 minutes of computer time for games (more for “productive activities” if she wished) and she was expected to do her other chores as usual. Her first choice to fill her time was books. No surprises here from our bookworm. She loves to read on the stairs to be closer to the family hub – our dine-in kitchen. Her second choice was computer time. Again, no surprises. As any other modern child, Smarty loves electronic games. This is why I firmly believe that limits on computer time are needed – there are too many options available nowadays for kids to spend their entire day in the universe created by someone else. And then… slowly… it happened. Smarty moved to expand her books-computer routine with more creative ideas – researching choosing and care of fish, playing with Lego and Playmobil sets, drawing. It was good to see her getting out of her comfort zone without us dragging or coaxing her out. And I could totally connect to the words of my wise blog friend MaryAnne from Mama Smiles: Joyful Parenting – creativity comes with time, space, and respect. Will we continue this unstructured experiment all summer? Well, I do have a couple of things that I really want to do together in the upcoming weeks. I also want to return to our Saturday cooking classes with Mama. But I do want my child to experience one of special privileges of childhood – a gift of doing nothing and discovering your own desires during this time of full freedom. I want most of her “free” time to be really free and to be her own, and even if I don’t see the “results”, I know that they are actually there. I so agree with you. Childhood should have a bit of unscheduled time in it...and they will get creative. I love her Magnatiles and Playmobil setup! We sold our Wii this summer and bought Playmobil sets with some of the money, inspired by your recommendation. The kids love them! I have mother's guilt too and get anxious when K spends too much time alone but she tells me she likes the slow pace of things around here. She loves to read, write, and create. It's me I don't know what to do with! I could not agree with you more, Natalie! (I linked a similar post on your linky about boredom and kids). And I understand the feeling you are having of being a kids activities blogger and not doing any acitvities with your kids. I feel that guilt sometimes too. And I just try to find a balance between planned projects and activities and just free play for them. I noticed that they do take something good out of those planned projects if not at the moment then in the future for sure. I think one of the things to be careful of when reading through blogs, and all of the great "projects", is being aware of what sort of a blog it is. Is it a homeschool blog? Then, many of the projects aren't just Mom having fun with the kids - they are class time - teaching time - and yes, sometimes Mom having fun playing with the kids. Smarty already gets that kind of learning, and those type of projects at school with her teachers - and doesn't need them at home. 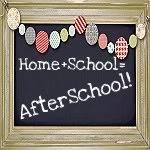 Homeschool kids are having lots of idle/free time as well...just not usually posted about. Maryanne was very, very right about the need for space. We all need that, don't we? Great experiment! For the longest time I made summer bucket lists filled with lots of fun ideas. And every year we didn't complete most of the activities because we spent the time playing and having fun in different ways, and I'd have to say I wouldn't change a thing about it.